Frank Miller (born January 27, 1957) is an American writer, artist and film director best known for his film noir-style comic book stories. He is acclaimed as one of the most influential and popular creators in comics. Born in Olney, Maryland, and raised in Montpelier, Vermont, Miller was a comic fan from an early age. Setting out to become an artist, he eventually received his first published work in The Twilight Zone for Gold Key Comics in 1978. 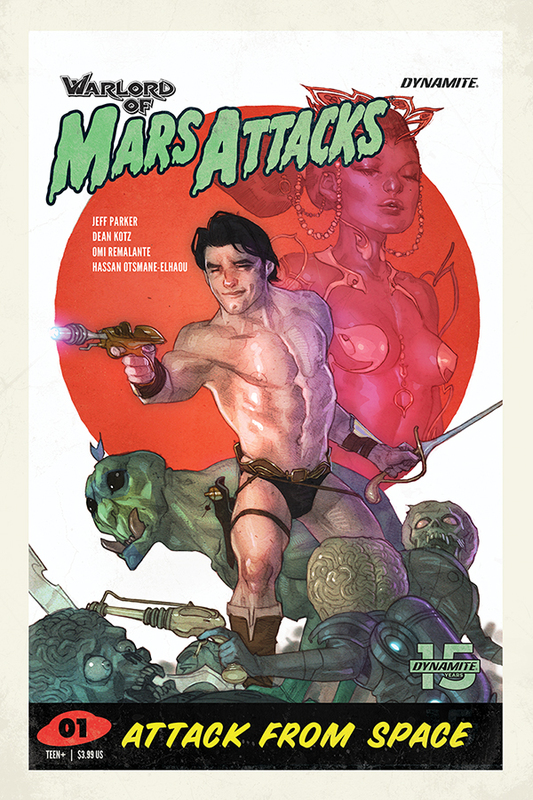 This was followed by various pencilling work for anthology titles from DC Comics and his first work at Marvel Comics in John Carter: Warlord of Mars #18. 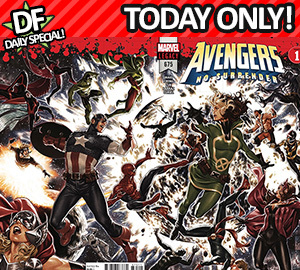 It was at Marvel that Miller would settle in as a regular fill in and cover artist, working on a variety of titles. One of these jobs was drawing Spectacular Spider-Man #27 and 28. These issues featured Daredevil as a supporting character. At this time Daredevil was a minor character with his own poor selling title; however, Miller saw something in the character he liked and asked then Marvel Editor-in-Chief Jim Shooter if he could work on Daredevil's regular title. Shooter agreed and made the decision to make Miller the new penciller on the title. Miller's first issue of Daredevil was #158, which was the last part of an ongoing story written by Roger McKenzie. Although still conforming to traditional comic book styles, Miller infused this first issue with his own film noir style which proved to be a success. After this issue Miller became one of Marvel's fastest Rising Stars and also started plotting stories with McKenzie. Miller's art was highly detailed but still noirish as his run progressed. 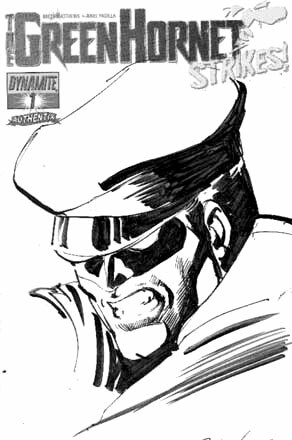 Learning from Neal Adams, Miller would sit for hours sketching the roofs of New York in an attempt to give his Daredevil art an authentic feel not commonly seen in superhero comics at the time. Miller was so successful on the title that it became a monthly title after being bi-monthly for many years. From issue 168 in 1981, Miller took over full duties as writer and penciller, with Klaus Janson providing inks. 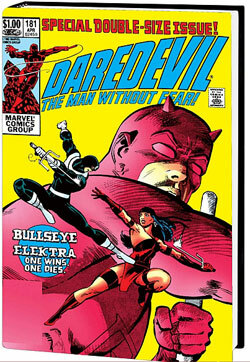 This issue saw the first appearance of Elektra, a character who would become incredibly popular in her own right. Miller began to infuse the comic with darker themes and stories heavily influenced by Japanese manga strips. This peaked when in issue 181 he had the assassin Bullseye kill Elektra. Although deaths of supporting characters were commonplace in comics at the time, a death of a major character like Elektra was not. Miller made it clear with the next few issues that he intended Elektra to remain dead but nonetheless she was revived during his time as writer. Miller finished his Daredevil run with issue 191; in his time he had transformed a secondary Marvel character to one of the most popular and best-selling characters. Miller himself had become the industry's hottest creator and was in demand. During this time Miller and writer Chris Claremont had produced a four part Wolverine mini series in 1982, spinning off from the popular X-Men title. 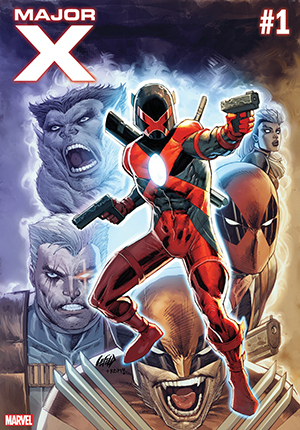 Miller used this title to expand on Wolverine's character while featuring more of his manga-influenced art. The series was a critical success and further cemented Miller's place as a major talent. 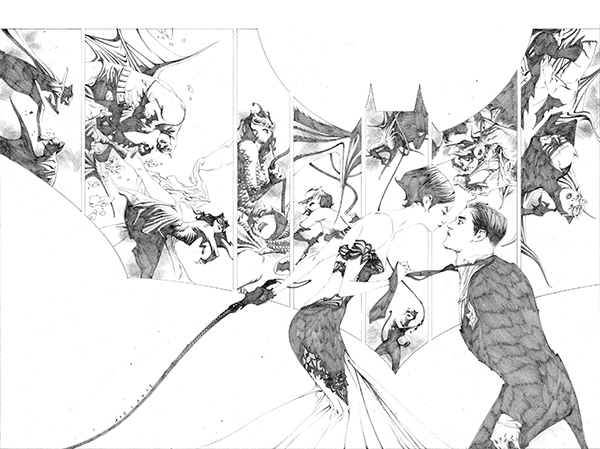 Miller also found time to draw a short Batman Christmas story for a DC Comics Christmas special. This was his first encounter with a character who, like Daredevil, he would become closely associated with. 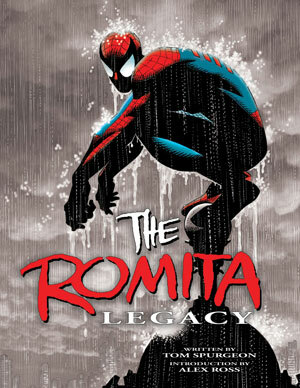 Miller rounded out this time with The Elektra Saga (a four-part mini-series largely consisting of material previously published in his Daredevil run, telling of the life and death of Elektra), and Ronin for DC Comics, his first creator-owned title. Ronin was a six-issue mini series first published by DC from 1983 to 1984. 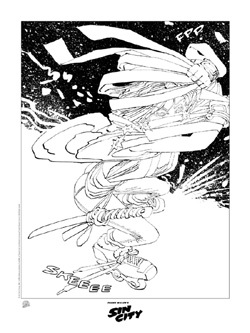 With Ronin, Miller not only refined his own art and storytelling techniques, but also helped change how creator rights were viewed, and proved that comics in new formats could be commercially viable. Ronin was also his most clearly manga-influenced title, drawing mainly from the black and white Lone Wolf and Cub series. After Ronin, Miller was relatively quiet in 1985; his only published work was a single issue of Daredevil (issue 219), inspired by the film High Plains Drifter. Things would be much different in 1986 as Miller reached a peak of creativity and would redefine one of the industry's oldest characters. In 1986 DC Comics released the first issue of Batman: The Dark Knight Returns (commonly shortened to DKR), a four-issue mini-series printed in the new prestige format, and written and drawn by Miller, with colors by Lynn Varley and inks by Klaus Janson. The story tells how Batman, retired after the death of Robin, returns to fight crime in a future where crime and violence have taken over. Meant as a possible finale for Batman, Miller created a tough, gritty portrayal of the Dark Knight. Reaction to the series was like nothing seen before. Released the same year as Watchmen, it showed a new form of more 'adult-oriented' storytelling to a mainstream audience, as well as diehard comics fans. Receiving massive amounts of media publicity, Miller found that he had not only redefined Batman in comics, but had managed to remove the campy Image many had of the character from the 1960s television series. DKR had a huge influence on the comic book industry; it heralded a new wave of darker, more 'realistic' characters in comics, and along with Batman: The Killing Joke, it was also a major influence on Tim Burton's Batman in 1989. The trade paperback proved to be a huge seller for DC and remains in print 20 years after first being published. In addition, this comic finally helped to sever the formerly benign relationship between the two most recognizable DC Comics superheroes, Batman and Superman. Miller and artist Bill Sienkiewicz produced the graphic novel Daredevil: Love and War in 1986. Featuring the character of the Kingpin, it indirectly bridges Miller's first run on Daredevil and Born Again by explaining the change in the Kingpin's attitude toward Daredevil. Miller and Sienkiewicz also produced the eight issue miniseries Elektra: Assassin for Epic Comics. Set outside regular Marvel continuity, it featured a wild tale of cyborgs and ninjas, while expanding further on Elektra's background. Both of these projects were well received critically, Elektra: Assassin was praised for its bold storytelling, but neither had the influence or reached as many readers as Dark Knight Returns or Born Again. Miller's final major story in this period was in Batman issues 404-407 in 1987, another collaboration with Mazzuchelli. 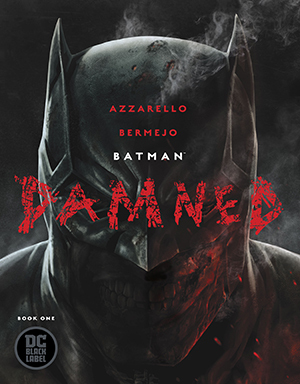 Titled Batman: Year One, this was Miller's version of the origin of Batman in which he retconned many details and adapted the story to fit his Dark Knight continuity. Proving to be hugely popular, this was as influential as Miller's previous work and a trade paperback released in 1988 remains in print and is one of DC's best selling books. During this time Miller (along with Marv Wolfman, Alan Moore and Howard Chaykin) had been in dispute with DC Comics over a proposed ratings system for comics. Disagreeing with what he saw as censorship, Miller refused to do any further work for DC and he would take his future projects to the independent publisher DARK HORSE Comics. From now on Miller would be a major supporter of creator rights and be a major voice against censorship in comics. 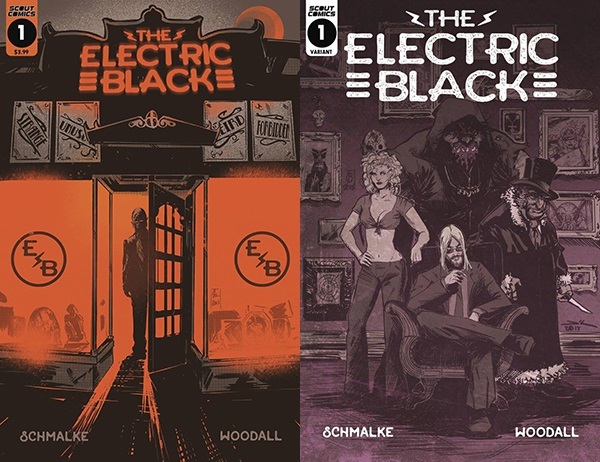 After leaving DC, Miller intended to only release his work via DARK HORSE, however he had one final project for Epic Comics. Elektra Lives Again was a fully-painted graphic novel written and drawn by Miller and colored by longtime partner Varley. Telling the story of the resurrection of Elektra from the dead and Daredevil's quest to find her, it was the first example of a new style in Miller's art, as well as showing Miller's willingness to experiment with new storytelling techniques. 1990 saw Miller and artist Geoff Darrow start work on Hard Boiled, a three-issue mini-series which suffered from long delays between issues. That aside, the title was a mix of violence and satire which was praised for Darrow's highly detailed art and Miller's writing. At the same time Miller and artist Dave Gibbons produced Give Me Liberty, a four-issue mini-series for DARK HORSE. Another mixture of action and political satire, the title sold well and firmly cemented Miller's reputation as a writer of more 'adult' comic books. Give Me Liberty was followed by several follow up series and specials, all of which were written by Miller and drawn by Gibbons. Miller also wrote the script for RoboCop 2 and RoboCop 3. Neither were critically well received. After RoboCop 3, Miller stated that he would never allow Hollywood to make movie adaptations of his comics, being disgusted with the constant studio interference with his scriptwriting. In 2003, Miller's screenplay for RoboCop 2 was adapted by Steven Grant for Avatar Press's Pulsaar imprint, which now owns the rights to create comics based on RoboCop. Illustrated by Juan Jose Ryp, the series is called Frank Miller's RoboCop and contains plot elements that were divided between RoboCop 2 and RoboCop 3. Daredevil: Man Without Fear was a mini-series published by Marvel Comics in 1993. In this Miller and artist John Romita Jr. retold Daredevil's origins in much the same way Miller retconned Batman's origin in Batman: Year One. Miller also returned to superheroes by writing an issue of Todd McFarlane's Spawn, as well as the Spawn/Batman crossover for Image Comics. 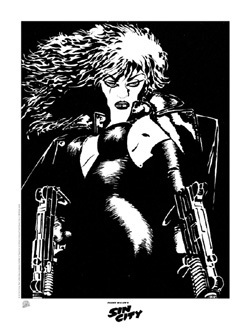 In 1991 Miller started work on his first Sin City story. Serialised in DARK HORSE Presents issues 51 to 62, this was Miller's first completely solo work as he wrote and drew the story in black and white to emphasize its film noir origins. Proving to be another success, the story was released in a trade paperback. This first Sin City "yarn" was re-released in 2005 under the name The Hard Goodbye. 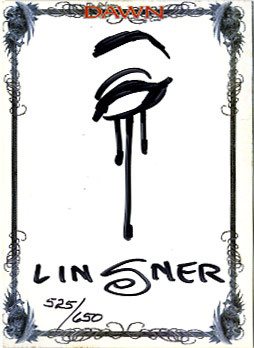 Sin City proved to be Miller's main project for much of the remainder of the decade as Miller told more Sin City stories within this noir world of his creation, in the process helping to revitalize the crime comics genre. Cover of Sin City shows Marv walking through the rain.Sin City proved artistically auspicious for Miller and again brought his work to a wider audience outside of comics. In 1995, Miller and Darrow collaborated again on Big Guy and Rusty the Boy Robot - a homage to Godzilla movies, Astro Boy and patriotic American films from World War II. The series was published as a two-part mini-series from DARK HORSE Comics. In 1999 it became an animated series on Fox Kids. Miller started the new millennium off with the long awaited sequel to Batman: The Dark Knight Returns for DC Comics after Miller had put aside past differences with DC. Batman: The Dark Knight Strikes Again was initially released as a three issue series. Although sales were excellent, critical reaction was decidedly mixed. 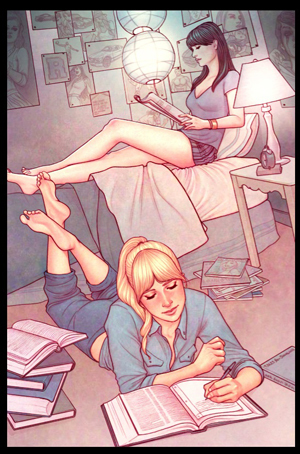 Miller and Varley were criticized for the artwork that was perceived by some as simplistic, with computer coloring that showed off its Photoshop origins more than many were comfortable with. The Comics Journal claimed that Miller was imitating Bill Sienkiewicz but simply lacked the chops. Others, however, including many of Miller's younger peers, appreciated such a bold move so late in his career, and thought it was only the continuation of Miller's quest to grow as an artist. Miller's stance against movie adaptations was to change after Robert Rodriguez made a short film from one of Miller's Sin City short stories. Rodriguez showed this short film to Miller who was so pleased with the result that he approved a full-length film, Sin City. 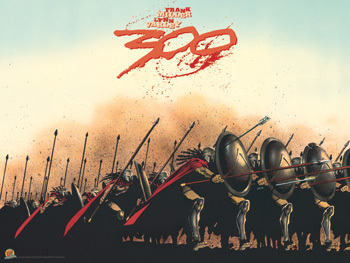 The movie was released in the US on April 1, 2005, using Miller's original comics panels as storyboards. Miller and Rodriguez are credited as co-directors, which Rodriguez insisted upon. The Director's Guild of America would not permit Miller's being credited in this fashion and as a result Rodriguez decided to resign from the Guild. The film's success has brought renewed attention to Miller and to Sin City. A sequel and proposed TV series would not only adapt existing stories, but new stories written by Miller. Miller will also be finishing a new story for the film sequel of Sin City; a story which he worked on during the '90s, but never published. Miller's cover to Batman: The Dark Knight Strikes Again #1.Miller has been vocally opposed to recent comic art attempting to give the cosmetic appearance of what some say is more realism. In an interview on the documentary Legends of the Dark Knight: The History of Batman, Miller said, "People are attempting to bring a superficial reality to superheroes which is rather stupid. They work best as the flamboyant fantasies they are. I mean, these are characters that are broad and big. I don't need to see sweat patches under Superman's arms. I want to see him fly." Miller has also returned to writing Batman in 2005, taking on the writing duties of All Star Batman and Robin, a series set outside of the normal DC continuity with art provided by Jim Lee. The book's panning by critics and fans has been harsh, many pointing to its awkward dialogue and misogynistic plot devices. Many Miller fans, however, believe the story might work better in its eventual trade paperback form, as the story's slower pace seems more suited to a single read. 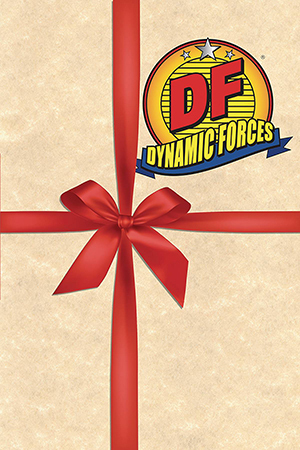 However, due to the continued lateness of issues, it is unlikely that a collected edition will be printed in the near future. On a personal note, Miller and his collaborator, Lynn Varley, divorced after years of marriage. In 2006, Miller announced that his next Batman book would be called "Holy Terror, Batman!". In the story, Batman defends Gotham City against attacks by real-life terrorist group Al-Qaeda. At the 2006 San Diego Comic-Con, it was announced that Miller would direct a film version of Will Eisner's The Spirit. Frank Miller has appeared in four films in small roles, dying in every one. In the 1990 film RoboCop 2, he plays "Frank, the chemist" and dies in an explosion in the drug lab. In the 1994 film Jugular Wine: A Vampire Odyssey, he is killed by vampires in front of Stan Lee, who compares his killers to "angels." In the 2003 Daredevil movie, he appears as a corpse with a pen in his head, thrown by Bullseye, who steals his motorcycle. The credits list Frank Miller as "Man with Pen in Head". In the 2005 Sin City film he plays the priest killed by Marv in the confessional.